Show off sophisticated taste in the Rieker Mirjam 11. This women’s Euro-inspired pump boasts a durable leather upper with laser cut and stitching details. The two-piece design is feminine, with an adjustable ankle strap with medallion details. 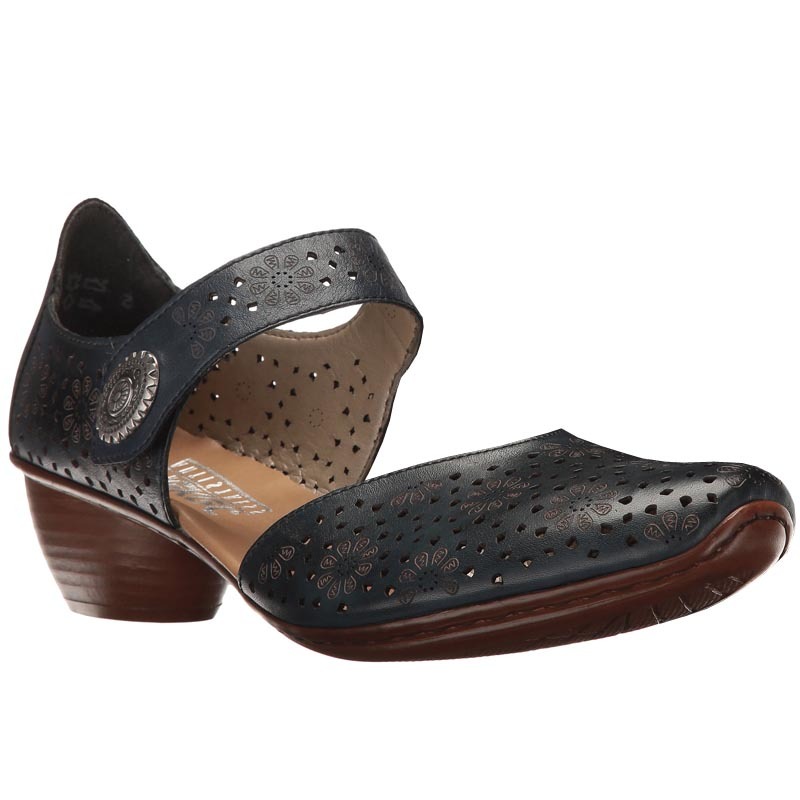 You'll find superior comfort in the leather covered Rieker Antistress footbed. A traction outsole provides traction and absorbs shock with each step. Get classic styling with modern details in the Rieker Mirjam 11.